Your home is 15 minutes from Disney and 20 minutes from Universal Studios in Davenport on Highway 27, only 5 minutes from Interstate 192. This means you will be within easy reach of all amenities. 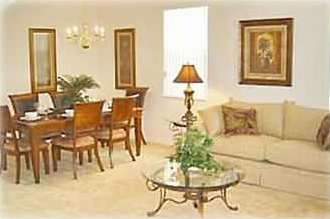 At home you will have all the facilities you require to relax after a long day of enjoyment at the parks. The house is one of the homes listed by Virgin holidays as part of their Executive homes collection, and is classified in the USA as an Executive Home. In order to meet these highest standards the house is very large with 6 bedrooms and in total has 3431 square feet of living space, see Floor plan. There has been no expense spared to exceed the 5 star standard required to be an Executive home, and ensure maximum comfort for those who stay here. The management company is Contempo homes, who provide everything you need from tickets to preferential golf tees. The house is a smart house with key code so you do not need keys and can arrive any time you like day or night. 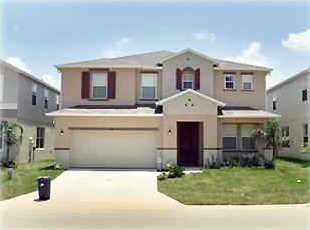 In addition to all the easy access to the major theme parks this house is in the Legacy Park gated community which has tennis courts and children's play area. It is also in close proximity to the golf courses. Legacy Park is situated in an area of outstanding beauty with over one hundred lakes in the county, catering for every kind of water sports from relaxed fishing to wakeboarding and waterskiing. There are as you would expect many relaxing walks. The North Ridge Leisure park is only 1/4 mile walk. 4 Bedrooms are Queen sized doubles. 2 Bedrooms are twin single beds. 4 and a half bathrooms. 3 of the double bedrooms have ensuite bathrooms and 1 of these bedrooms is downstairs. Your screened swimming pool (28 feet by 14 feet) also has a Jacuzzi Spa, and there is the large decked area with loungers to ensure your party relax and pamper themselves. The Luxury Kitchen is fully equipped including Cold water and Ice making Fridge Freezer. You can breakfast in the Nook overlooking the pool, relax in the Family Room, or entertain in the Lounge and Dining Room. Lounge and Family Room have Sofa beds to accommodate an extra 4 people. The house has highest speed Broadband throughout the house. The house has international calls free and local calls free. The house has the top cable package. Lounge and Family Room have large 60 inch flat screen TV, PS3, high PC and DVD players. Master bedroom has 46 inch flat screen TV, with DVD players. All bedrooms have 27in flat screen TV's and DVD players and cable. VCR’s, DVD players, and games consoles. As the house name suggests, the Retreat is the ideal environment in which to relax. 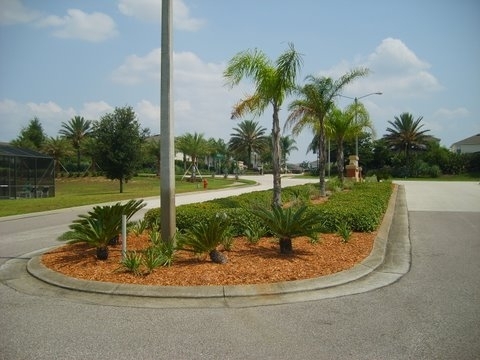 We are fully licensed and registered with the state of Florida, and everything is maintained to the highest standard by our property management company Florida Choice. 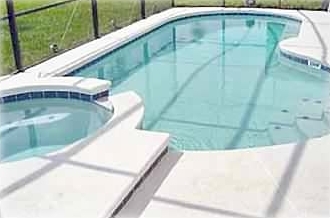 Florida Choice are able to assist you with all aspects of your stay at your holiday home 24 hours, 7 days a week and can provide any additional equipment e.g. High chairs, cribs etc should you require them. Florida Choice will ensure you receive a welcome pack when you arrive. Have a wonderful time in Florida and please feel free to fill in our guest book in Rates and dates link on your return.